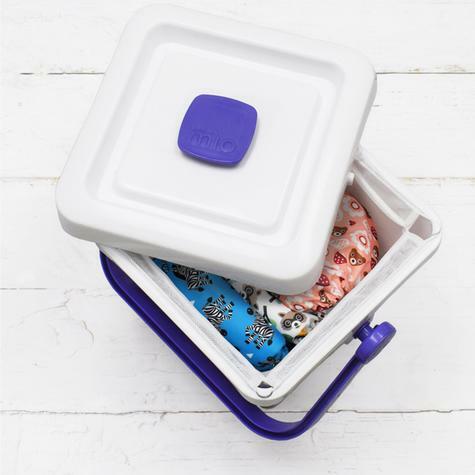 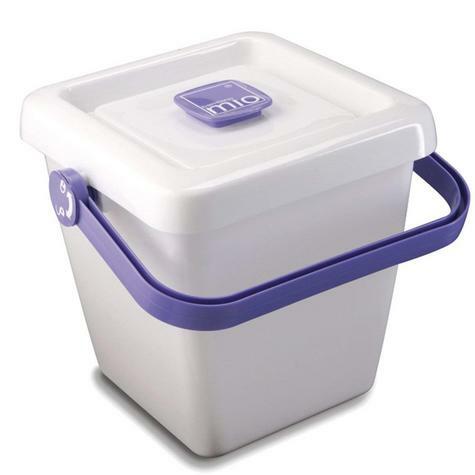 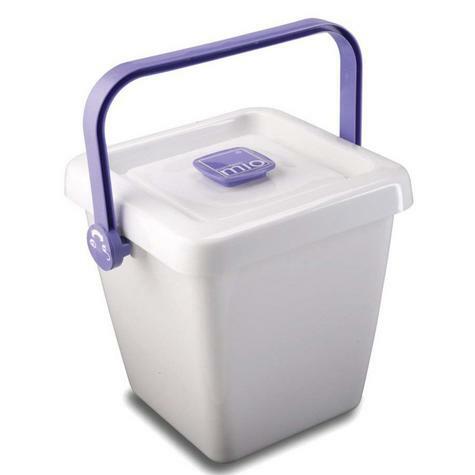 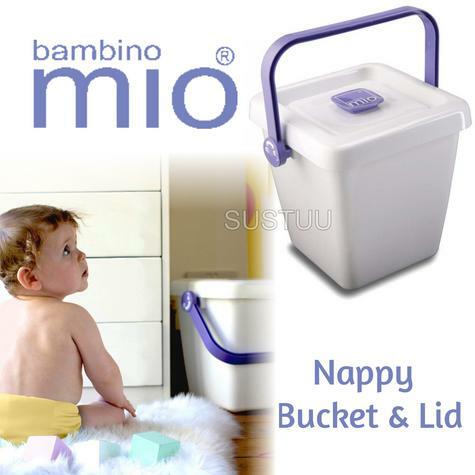 A simple, modern and practical nappy bucket which provides you with the perfect place to store used nappies ready for laundry. 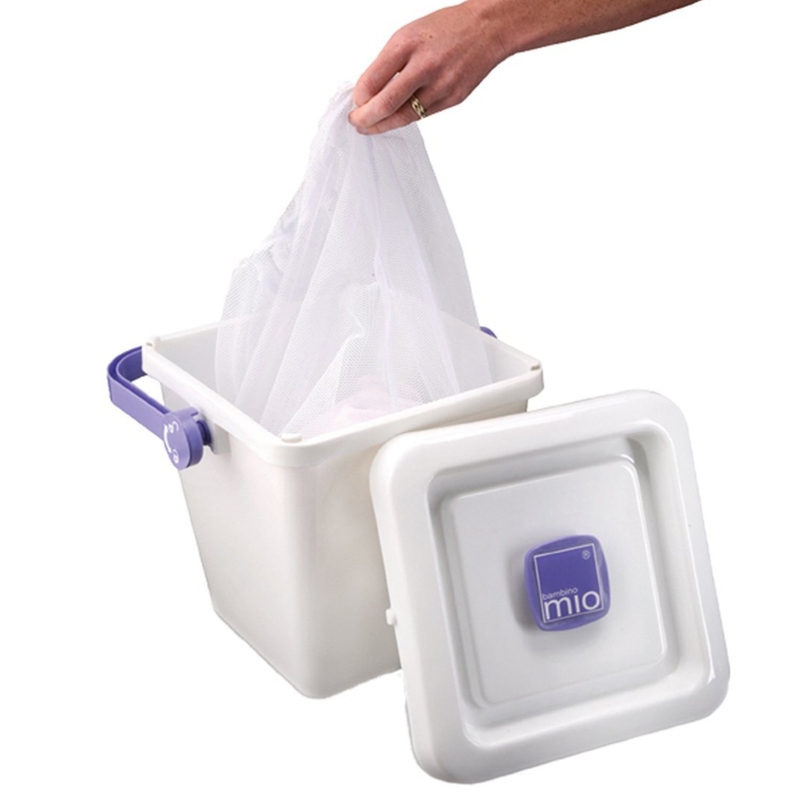 It features concealed internal hooks to securely attach laundry bags – ideally the Bambino Mio laundry bags for easy removable of nappies to be placed directly into the wash. It has a close fitting, lockable lid for child safety and can store enough nappies for a full load of washing.